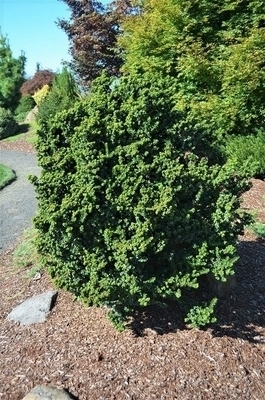 Comments: Totally choice upright dwarf female shrub with irregular branching. Produces tiny black berries each year among tiny 1/4 to 1/2 inch leaves. Great accent plant for the rock garden or used for bonsai. A collector's item.